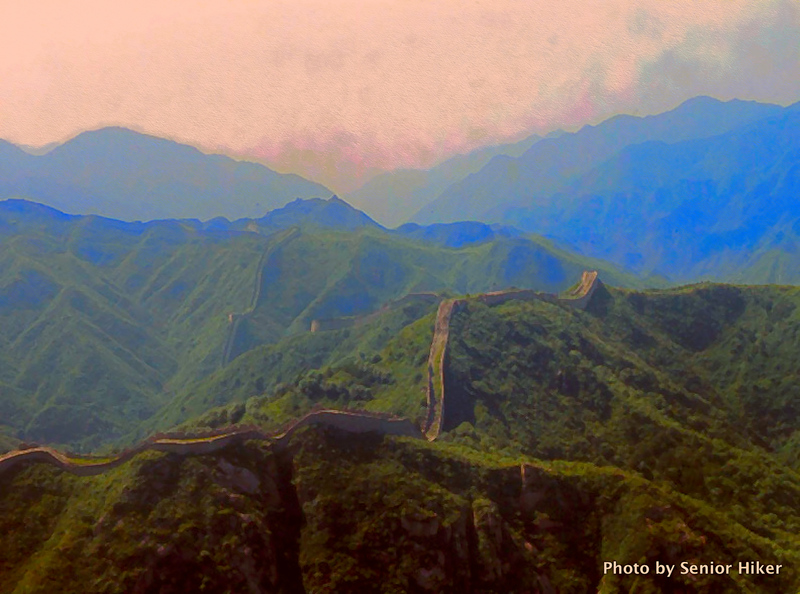 When I first saw the Great Wall of China back in 1987 I was almost mesmerized by the way it snaked over the mountains north of Beijing. The intervening 30 years have not been kind to the slides I took back then, but I’ve been trying to save what I can. 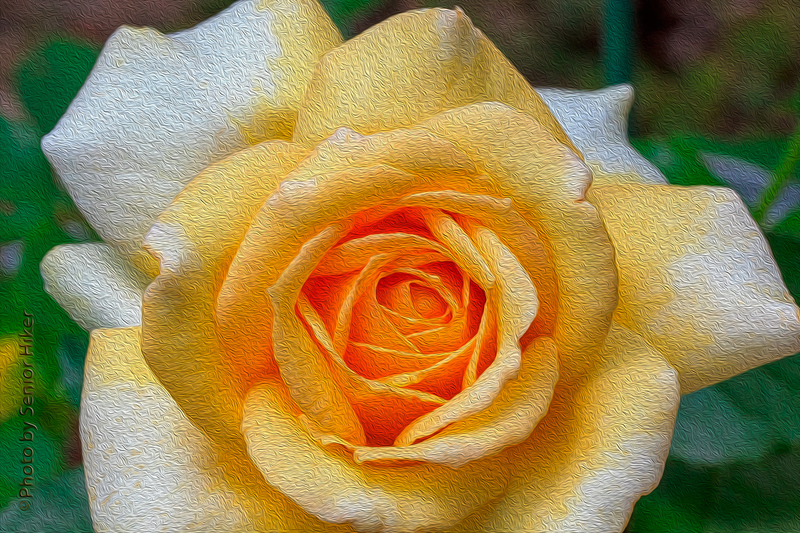 I used software to turn the slide which was the basis for this image into a “photo painting”. If you look closely you can see the wall snaking along the ridge tops. Betsy and I visited Harpers Ferry in September, 2013. 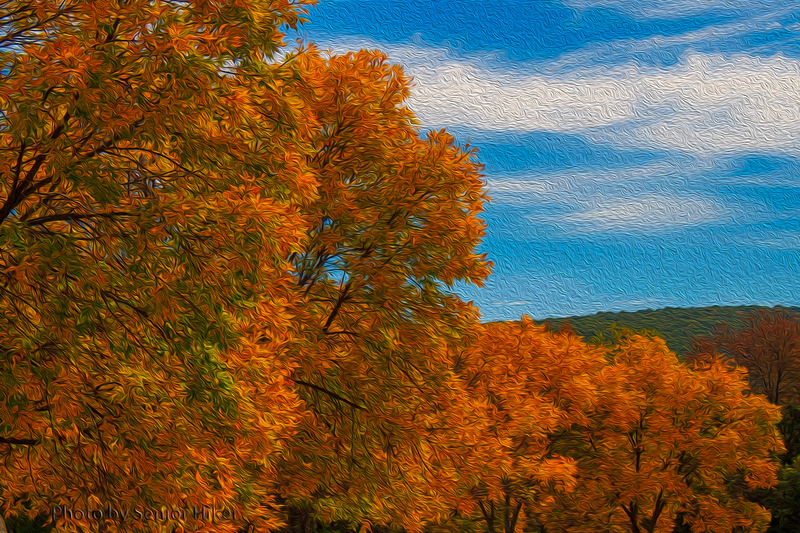 In addition to visiting the historical sites in the town, we were also able to enjoy some beautiful autumn color. 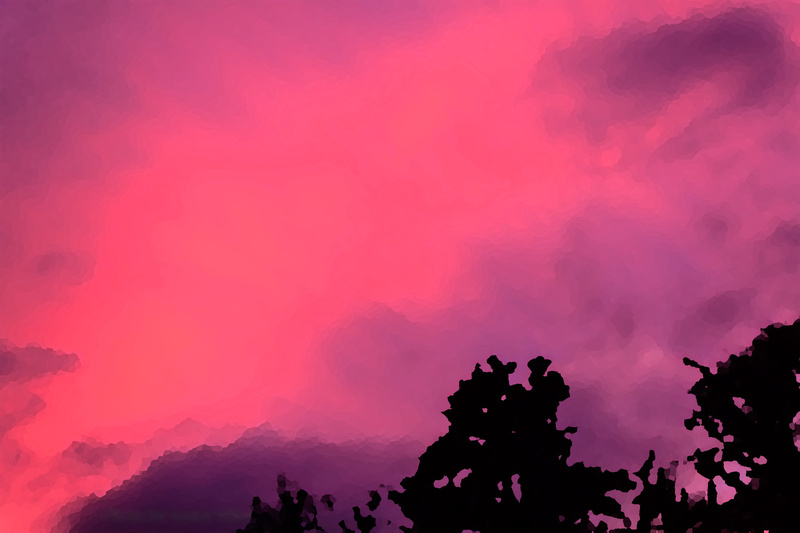 I created this ‘painting’ in Photoshop using a photo taken that day. Most of you know that Betsy and I go to Mt. Nebo in Arkansas each Spring. We try to visit a new place each time we go, and a couple of years ago we stopped by Dierks Lake, a lake formed on the Saline River in Arkansas. 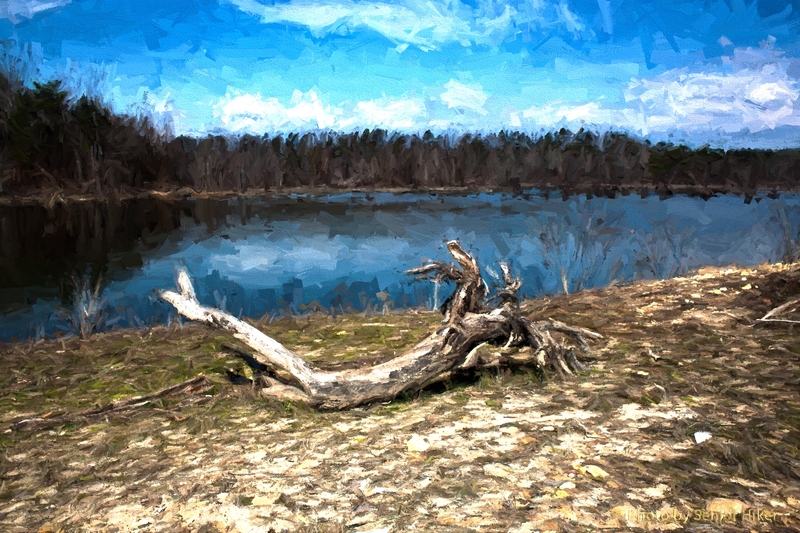 I got a picture of this old tree trunk along the shore, and I thought it would make a great painting. 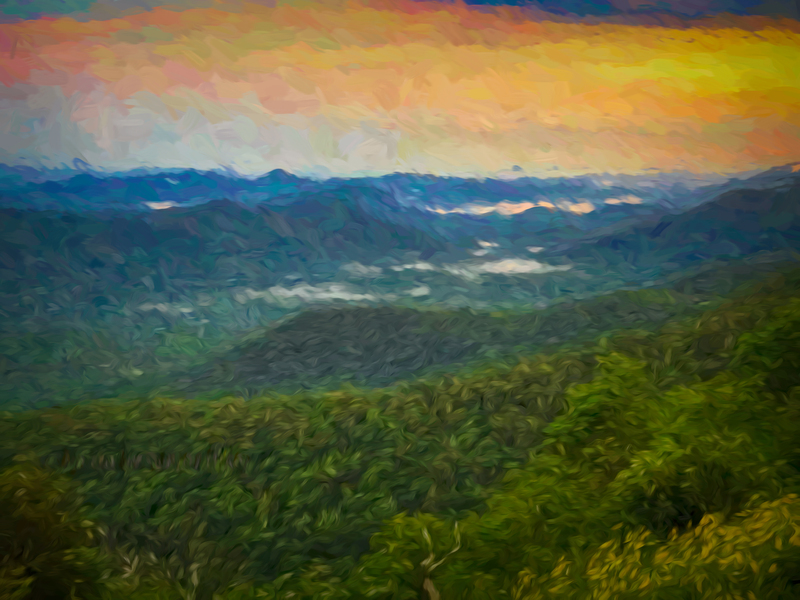 I got the photo on which this image is based when Betsy and I visited the Smokies just before Valentine’s Day. Our first stop was along the Foothills Parkway outside of Townsend, Tennessee. 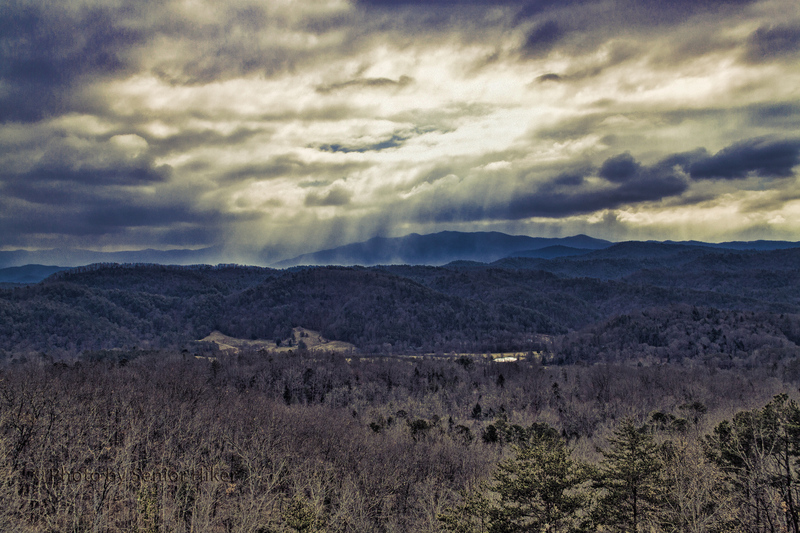 It was a cold, overcast day, but we could see sunbeams breaking through the clouds when we looked toward Mount LeConte. I ‘tweaked’ the photo to bring out the sunbeams, and this is the result. I rather like it. I often think that cloudy winter skies are boring, but often that is not the case at all. This painting is based on a photo I took a couple of years ago while looking east as the sun set on a cloudy Winter’s day. The color of the sky was gorgeous. When Betsy and I went to Texas in September, we broke up the trip by stopping at Noccalula Falls Park in Gadsen, Alabama. We stopped to see the waterfall, but we also spotted a beautiful little wedding chapel. This painting is based on a photo I took while walking through the park. Although Betsy and I now have many daylilies in our yard, my Dad gave us our first ones shortly after we bought this house. He didn’t know the name of the daylily, so we simply call it Dad Adams in honor of him. 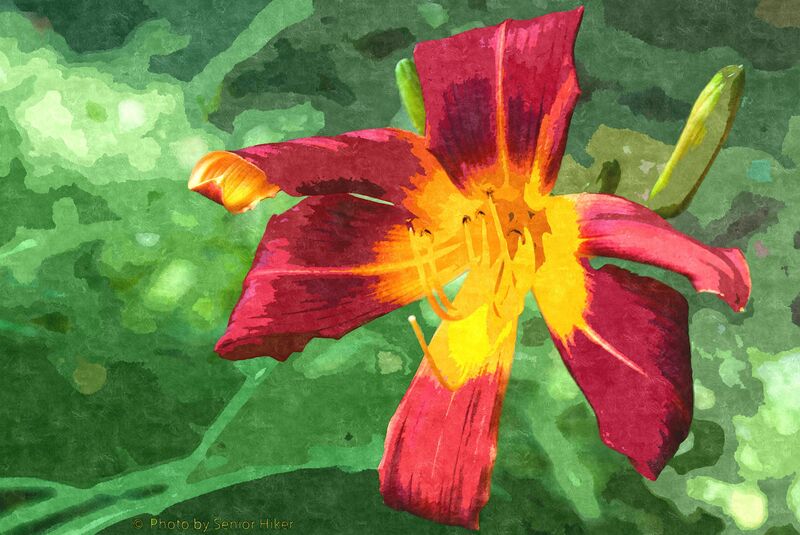 We have several varieties of day lilies in our yard. 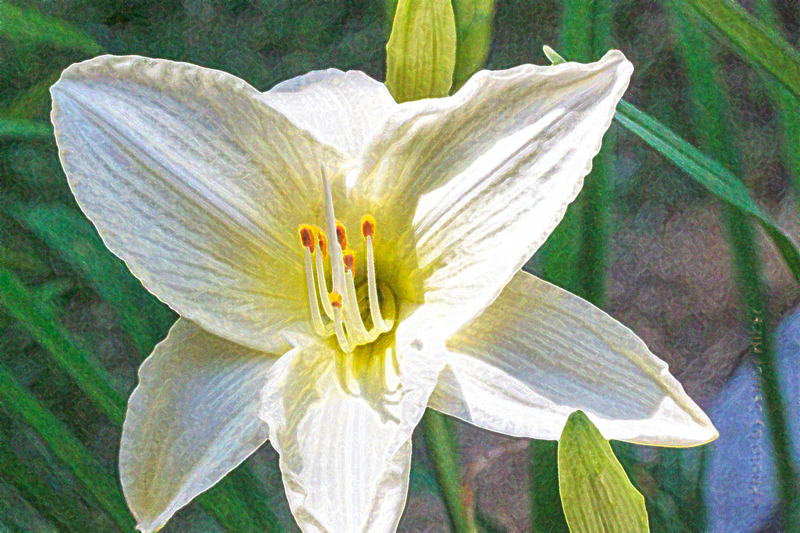 Joan Senior is one of the white day lilies we have. 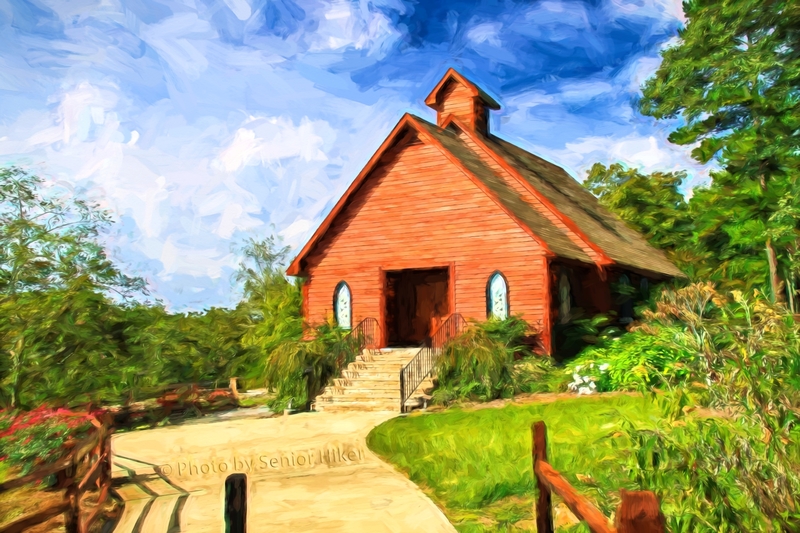 This painting is based on a photo taken in early June a couple of years ago.